TAMPA, Fla., (May 25, 2017) – AAA projects 2.08 million Floridians are preparing to travel 50 miles or more this weekend for Memorial Day, a increase of 66,169 people (3.3%) from last year. Nationwide, 39.3 million Americans are expected to travel, marking the third consecutive year of growth and the largest Memorial Day travel volume in 12 years. The Memorial Day holiday travel period is defined as Thursday, May 25 to Monday, May 29. The busiest travel days are expected to be Thursday, Friday and Monday, as many Americans enjoy an extended weekend. Travel volumes for all modes of transportation are forecast to be the highest since 2005. 34.6 million Americans (88.1 percent of travelers) will drive to their destinations, an increase of 2.5 percent over last year. 2.9 million Americans will fly, increasing air travel by 5.5 percent over last year. 1.75 million travelers – an increase 3.2 percent from 2016 – will take other modes of transportation, including cruises, trains and buses. Motorists will find the highest Memorial Day gas prices in two years. Florida gas prices are rising after declining for 31 consecutive days. 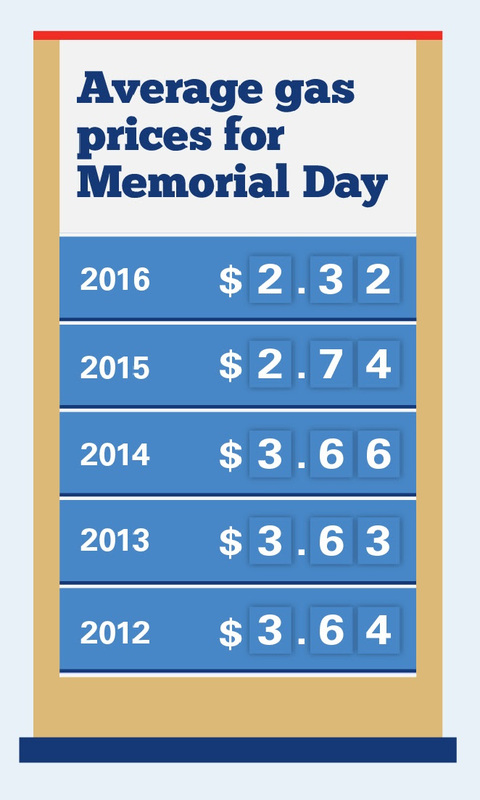 Florida’s state average of $2.31 is 6 cents more than what motorists paid on Memorial Day 2016. On Memorial Day 2016, gas prices averaged $2.32 nationwide and $2.25 in Florida. At press time on Wednesday, May 24, gas prices averaged $2.37 nationwide and $2.31 in Florida. Click here for today’s gas price averages near you. Even if gas prices stay above last year’s levels, they should remain well below the prices seen on Memorial Day 2015. The cost to fill an average-size tank of gas with regular unleaded fuel in Florida is $34.65 – $1 more than last year’s holiday. Florida’s average price rose on Monday, snapping a 31-day streak of declines for a total discount of 16 cents. Despite slightly higher gas prices this year, the vast majority of travelers (88.1 percent) are planning to hit the road for the holiday weekend. Automobile travel will grow by 2.5 percent this Memorial Day, with 34.6 million Americans planning a holiday road trip – the most in 12 years. While road trips continue to reign supreme for Memorial Day, more Americans will fly, ride the train or bus, or take a cruise vacation compared to last year. The share for air travel will record the largest year-over-year growth among all transportation modes, climbing 5.7 percent from 2016. This marks the fourth consecutive year of holiday air travel growth, due to Americans’ increased confidence in spending their rising incomes on taking a flight, which tends to be a more expensive mode of travel compared to auto, train or bus. 2.9 million Americans will fly to their destination – an increase of 152,000 from last year. Travel by other modes of transportation, including cruises, trains and buses, will increase 3.2 percent, to 1.75 million travelers. According to AAA’s Leisure Travel Index, average airfares for the top 40 domestic flight routes will be 9 percent higher this Memorial Day, with an average round trip ticket landing at $181. Hotel costs have also increased since last Memorial Day, with the average AAA Three Diamond Rated hotel costing $215, or 18 percent more than last year. 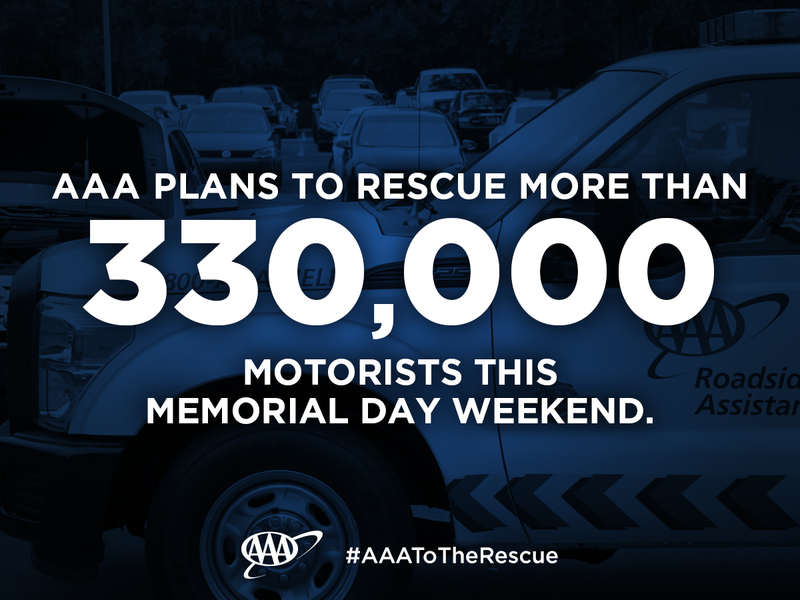 AAA’s car rental bookings are 19 percent higher than last Memorial Day. According to Hertz, the busiest day for car rental pick-ups is expected to be Friday, May 26, based on last year’s data. Daily car rental rates will average $66, which is 7 percent more than last year. 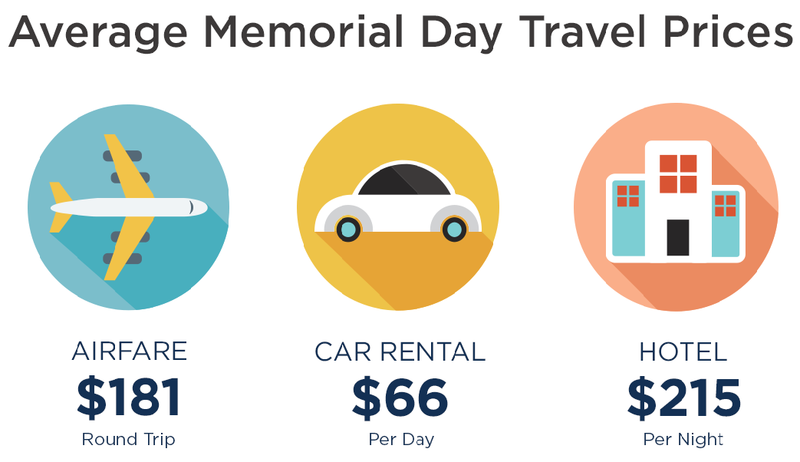 While the vast majority of travelers are planning a Memorial Day road trip, many other Americans will take an extended vacation and travel internationally. Europe is among the most popular vacations booked with AAA this year. Multiple European countries landed on our top 10 due to pent-up demand and continued favorable exchange rates. AAA recommends motorists have their vehicles inspected by a trusted repair shop, such as one of the more than 7,000 AAA Approved Auto Repair facilities across North America. 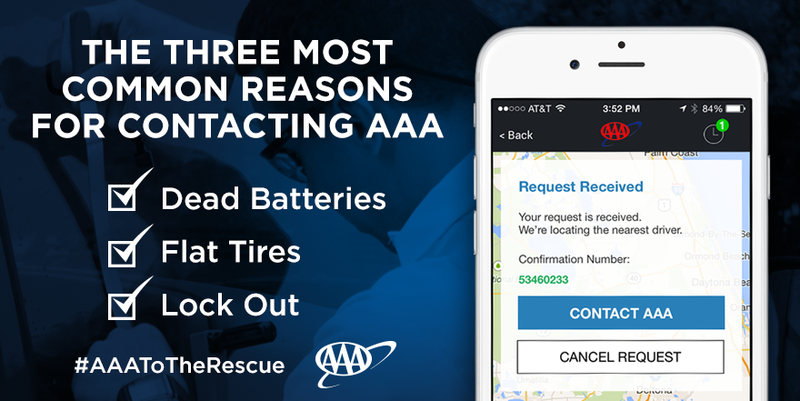 Members can download the AAA Mobile app, visit AAA.com or call 1-800-AAA-HELP to request roadside assistance. AAA will reimburse covered emergency expenses up to $600 for Classic members, $1,000 for Plus members, and $1,500 for Premier members who are traveling by car – at least 100 miles away from home – and have a breakdown, accident, or if their vehicle is stolen while en route. Reimbursable expenses include: meals and lodging, car rental, and transportation home or to their destination within 72 hours. AAA members can find complete information in their membership booklet. AAA’s projections are based on economic forecasting and research by IHS Markit. The London-based business information provider first teamed with AAA in 2009 to jointly analyze travel trends during major holidays. 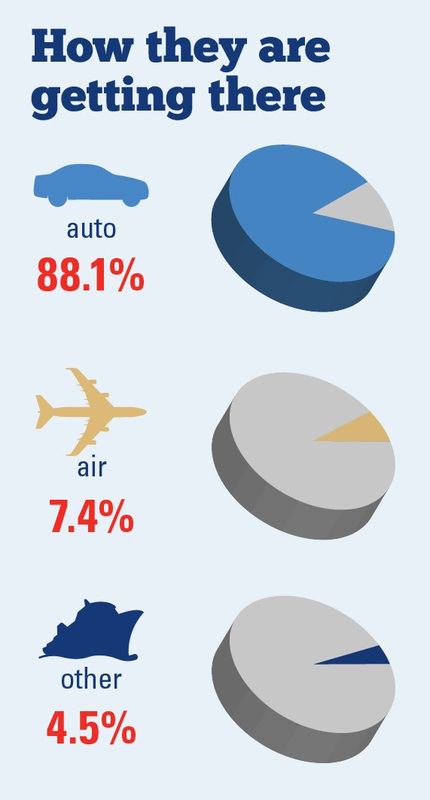 AAA has been reporting on holiday travel trends for more than two decades. The complete AAA/IHS Markit 2017 Memorial Day holiday travel forecast is available here.